“I’m the daughter of a goddess.” Stephanie Argerich. 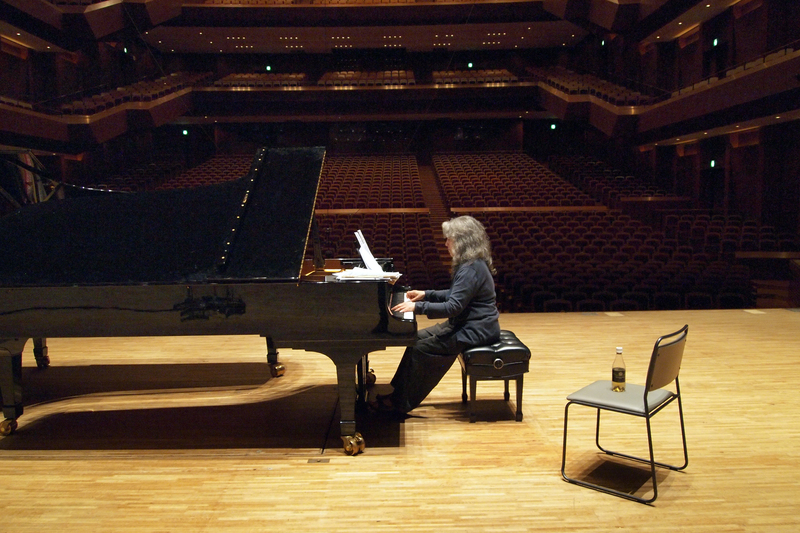 An intimate portrait of one of the greatest living pianists, Martha Argerich. With a career spanning nearly 50 years, the name Argerich has been synonymous of virtuoso since she rose to international fame at age 24. Media shy and known for her unpredictability, the life of this legendary Argentinian musician has been surrounded by an aura of mystery. Accompanying her mother through worldwide tours since a child, Stéphanie used her privileged position to film her extensively and to capture rare moments in the pianist’s private life. Blending home videos with excerpts of recent concerts and archival clips, the film reveals for the first time the woman and the mother behind the stage persona and create a compelling film portrait of one of the most secretive and endearing music geniuses of our time. What emerges is an extraordinarily talented woman lost in her burning passion for music and struggling to find a balance between self-fulfilment and motherhood.